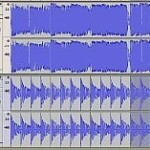 Tags: Analog recording technology, Audacity tutorials. b.) Your analog music collection in cassette tape. d.) Analog playback system (such as a cassette tape deck) with output (for example at ¼ inch jack output for the speakers). c.) Recording software. This tutorial will be using Audacity which is free. a.) Bit depth – the higher the bit depth, the more accurate will be the digital representation of the original analog source. It is why you should have a decent soundcard or audio interface if you are planning to have an accurate conversion of your analog music collections to digital. The most recommended bit depth and sampling rate will be 24-bit and 96KHz. However in Audacity, it has a 32-bit float bit depth which is 24-bit accurate. At this bit depth and sampling rate, the analog music sample will be accurately reproduced by the converter and get stored as a digital data in your hard disk drive. If the conversion is accurate, the digital representation is an replica of the analog music sample. 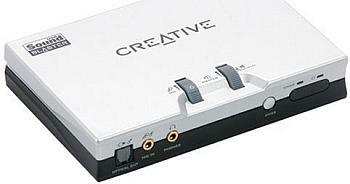 Audio interface such as Creative Soundblaster Live 24-bit External Soundcard or any quality soundcards will be capable of 24-bit/96KHz conversion. It is not recommended to use onboard soundcard because they can easily be subjected to noise, distortion, etc which introduce some issues in your digitization process. This is how to connect all the requirements in the previous section. But first, you should have your sound card fully installed and integrated with your computer. If not, refer to the soundcard manual for installation instructions. 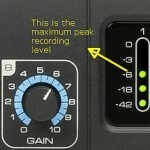 Also make sure that your recording software (e.g. Audacity) is ready and installed. 2.) Launch Audacity in your PC. 3.) a.) You need to configure Audacity to receive inputs from your correct recording device (audio interface). 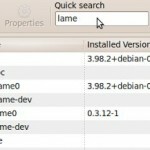 Go to Edit – Preferences. In “Audio I/O” tab Playback and Recording; make sure that the device is set to the correct soundcard then set Channels to 2 (Stereo).